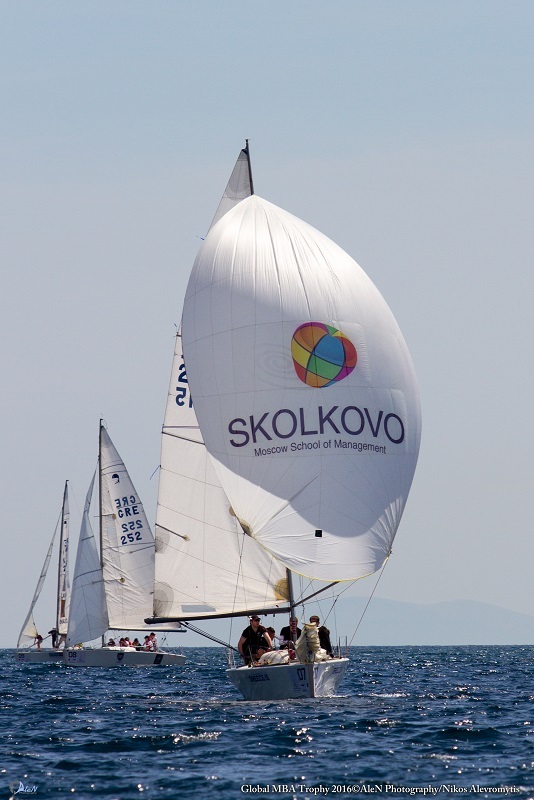 Skolkovo Moscow School of Management came away from the 12th Global MBA Trophy in Mikrolimano, Pireaus, Greece with their third victory in three attempts. 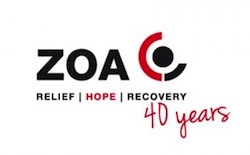 Their number 1 team put on a flawless display on day 1 of the regatta, finishing with three first places, and they rounded off day two with three seconds. This was 2016’s first regatta in the Sunsail MBA Global Sailing League. London Business School won second place, by winning the last race, and coming home second in the first two. INSEAD were third, while Skolkovo’s second team were punished for inconsistency, finishing fourth despite winning two races. 114 sailors arrived in Mikrolimano to sail on the 11 Platu 25s that made up the “A division, and the 7 Beneteau 49s in the “B” division. The regatta began with unseasonably strong winds on Thursday 21st April, which meant that crews were prevented from practicing by a “Lima” flag on the Yacht Club flagpole. Forced to enjoy the warm sunny weather, the sailors registered for the event, attended the briefing and then gathered at the Yacht Club of Greece’s magnificent clubhouse overlooking Pireaus and Faliron bay. The forecast for the first day of racing on the Friday was for little if any wind as the day went on, so the teams were keen to get started while the breeze lasted. As it turned out, the Faliron bay delivered a perfect day’s sailing, with enough breeze to keep the fleet sailing, while being variable enough across the course to reward the crews who could spot which side of the course to take. One of the event sponsors, Domino Pizza, made a surprise delivery by rib to the fleet between the races, much to the delight of the sailors. The evening was spent at Michelin starred restaurant, Varoulko on the seafront in Mikrolimano. Other sponsors were “Greece Is” magazine and Apivita cosmetics. Saturday’s forecast was little better than Friday’s, but again the Greek weather delivered. This time even producing enough wind for the committee to ban spinnakers for the first downwind leg of race 5. The racing over, the crews smartened themselves up and headed to the Yacht Club of Greece’s clubhouse again for the black- tie prizegiving and gala dinner.